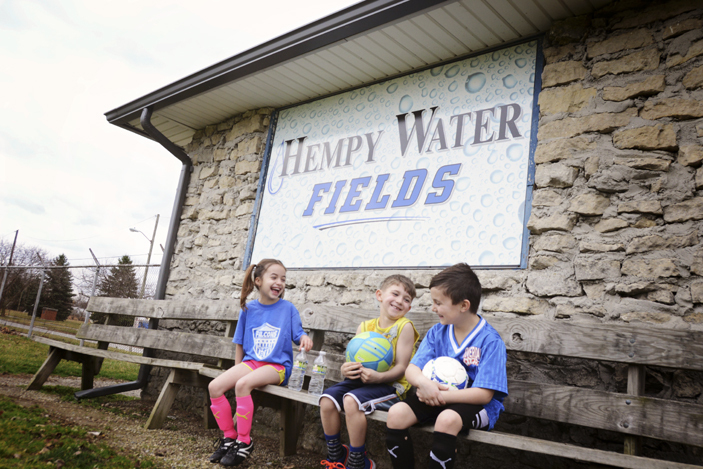 I wanted to give a shout out to Wes form Hempy Water of Mid Ohio. My water where I live is horrible and while I should have done it when I bought my home, I will be having one installed soon that's to Wes, he worked hard to meet my crazy schedule to meet with me. Thank you Wes Mottayaw...your awesome! Very professional and courteous. Wow! 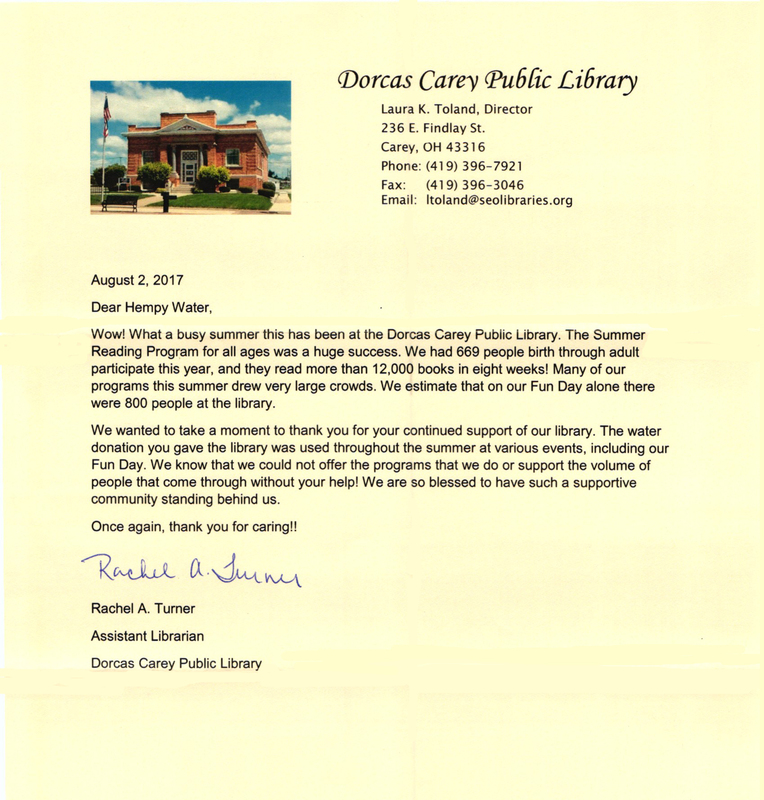 What a busy summer this has been at the Dorcas Carey Public Library. The Summer Reading Program for all ages was a huge success. We had 669 people birth through adult participate this year, and they read more than 12,000 books in eight weeks! Many of our programs this summer drew very large crowds. We estimate that on our Fun Day alone there were 800 people at the library. We wanted to take a moment to thank you for your continued support of our library. The water donation you gave the library was used throughout the summer at various events, including our Fun Day. 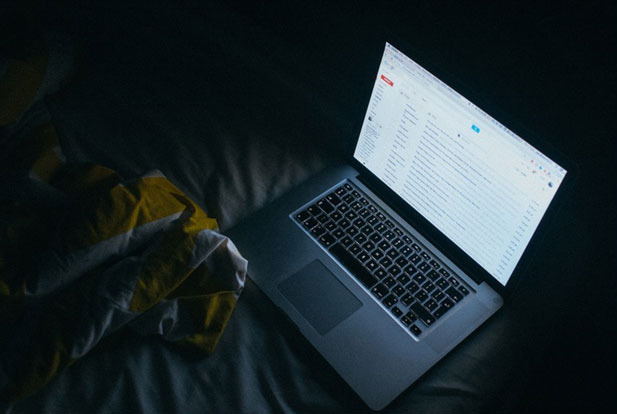 We know that we could not offer the programs that we do or support the volume of people that come through without your help! We are so blessed to have such a supportive community standing behind us. Once again, thank you for caring! 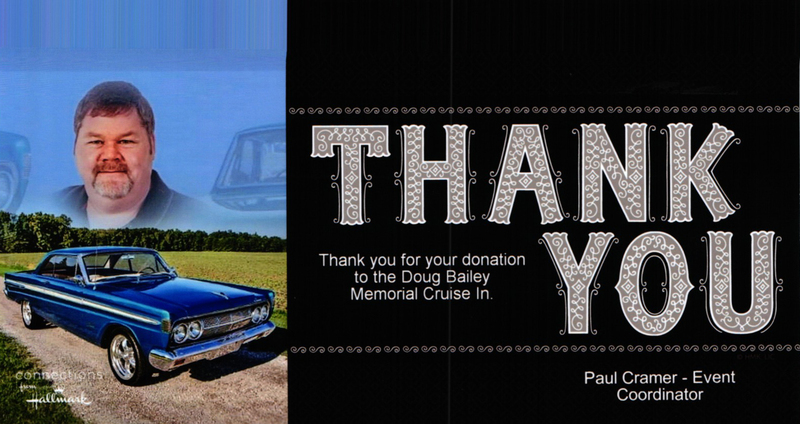 Thank you for your donation to the Doug Bailey Memorial Cruise. Your continued support at the Wyandot County Fair is greatly appreciated. Thank you for purchasing my 2017 Grand Champion market Lamb. 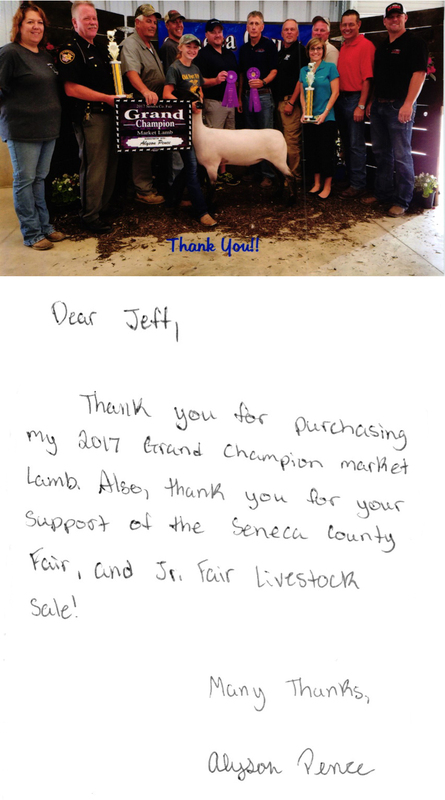 Also, thank you for your support of the Seneca County Fair, and Jr. Fair Livestock Sale! 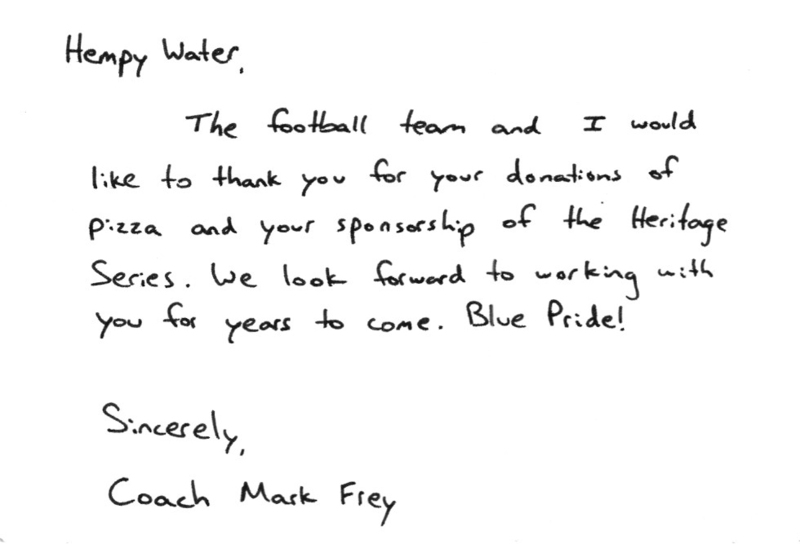 The football team and I would like to thank you for your donations of pizza and your sponsorship of the Heritage Series. We look forward to working wit you for years to come. Blue Pride! With sincere gratitude and appreciation. 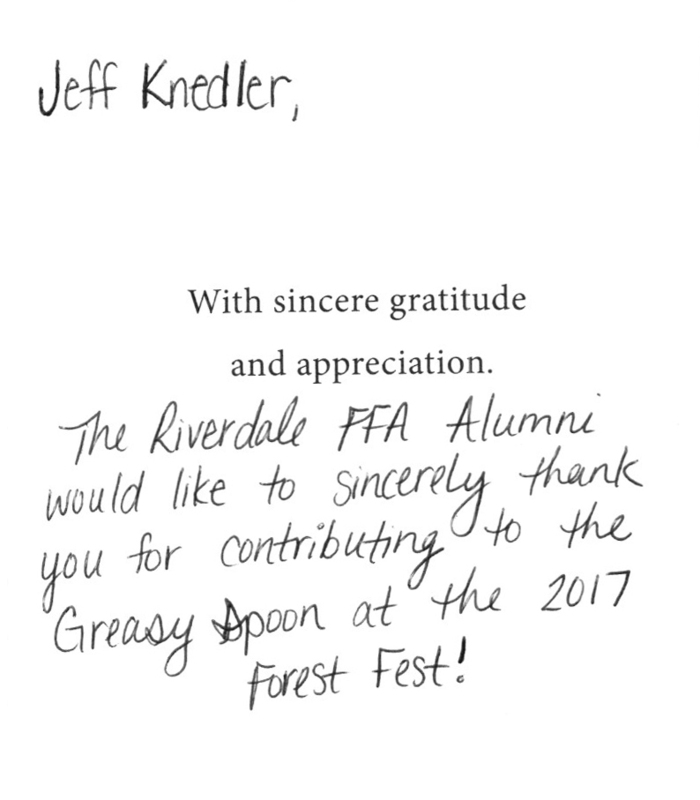 The Riverdale FFA Alumni would like to sincerely thank you for contributing to the Greasy Spoon at the 2017 Forest Fest! We want to thank you for ALL the water bottles you donated for our spaghetti dinner on 3/29/17. Jane Ickes stopped and asked to help us out. 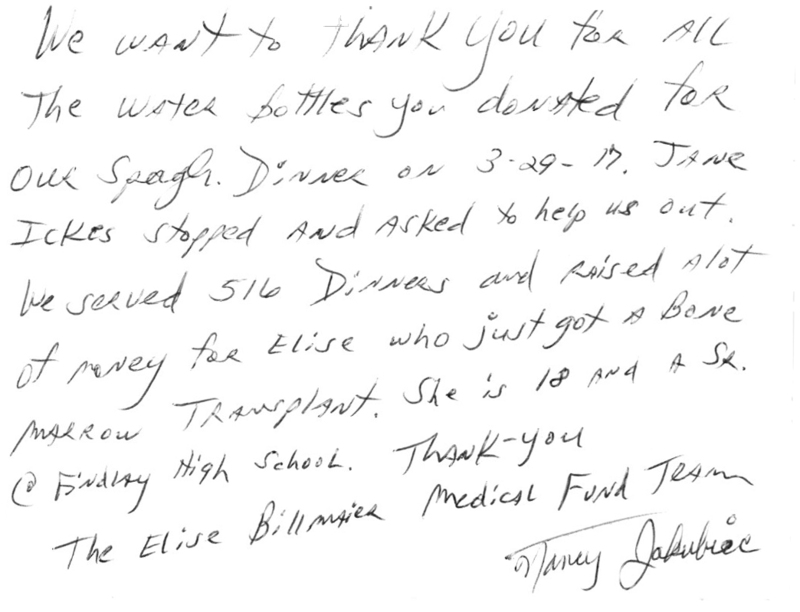 We served 516 dinners and raised a lot of money for Elise who just got a bone marrow transplant. She is 18 and a Sr. at Findlay High School. Thank you. Elise Billmaier Medical Fund Team. 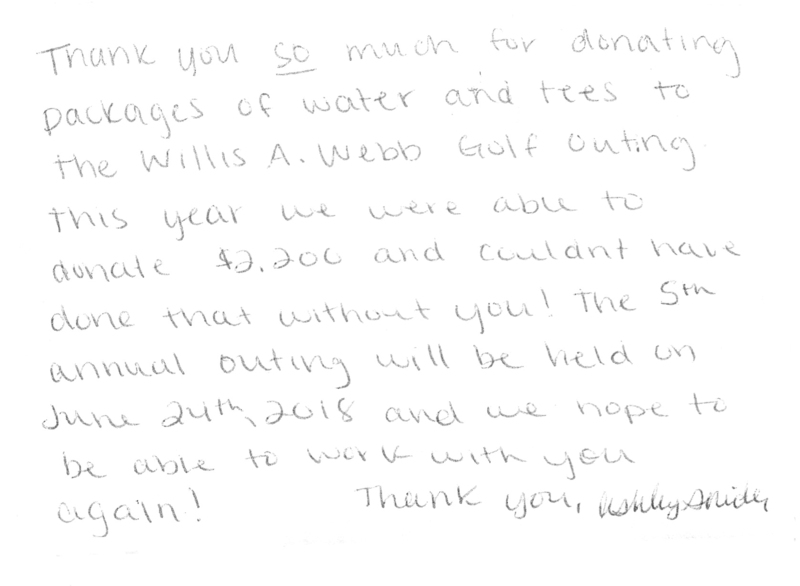 Thank you so much for donating packages of water and tees to the Willis A. Webb Golf Outing this year we were able to donate $2,200 and couldn't have done that without you! the 5th annual outing will be held on June 24th, 2018 and we hope to be able to work with you again! Thank you very much for the donation of water for the Daddy Daughter Dance. It was very much appreciated. 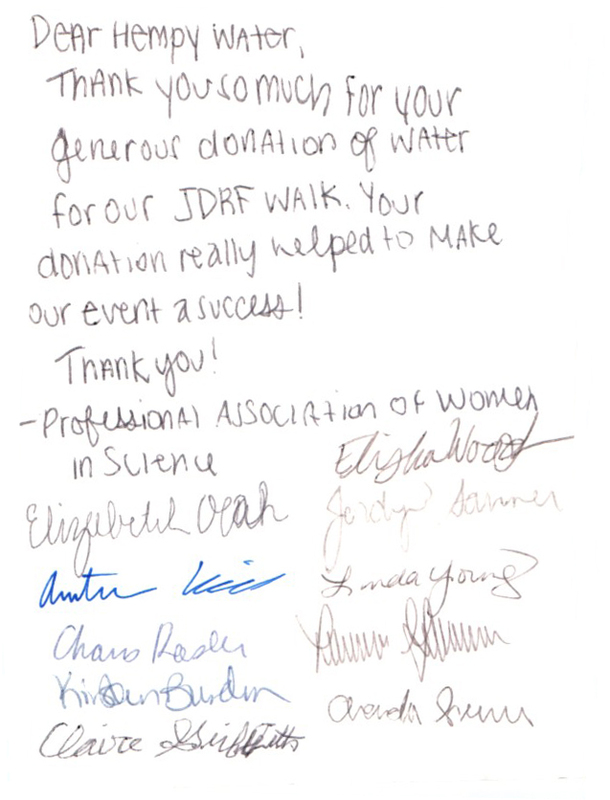 Thank you so much for your generous donation of water for our JDRF WALK. Your donation really helped to make our event a success. 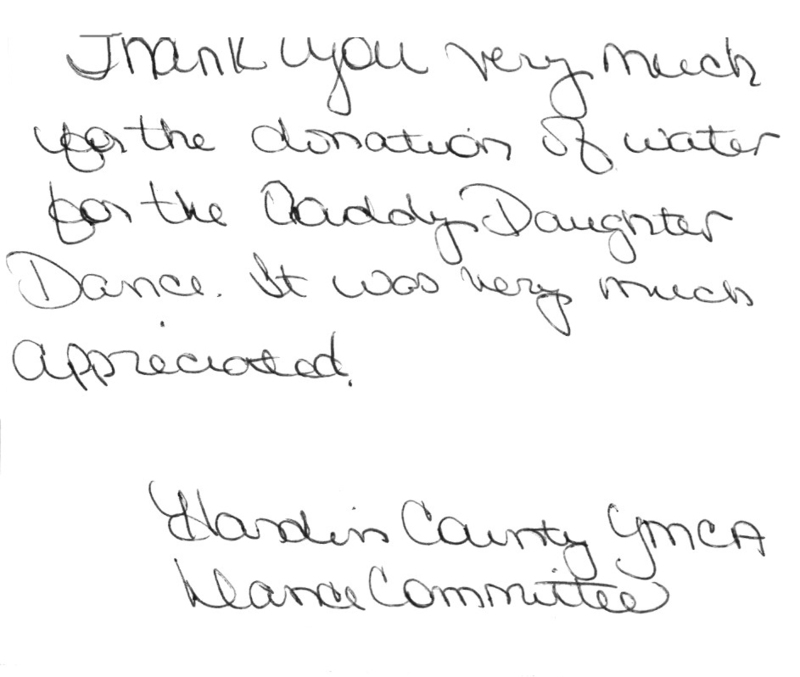 Thank you so much for your donation of water for the Hardin Co. quiz Bowl Tournament and the Riverdale 8th grade filed day! It is much appreciated. 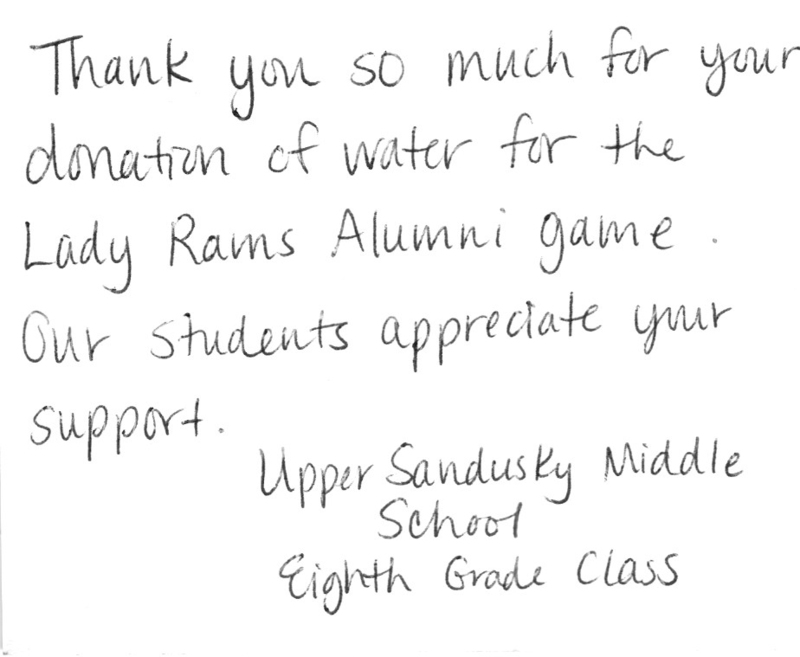 Thank you so much for your donation of water for the Lady Rams Alumni game. Our students appreciate your support. 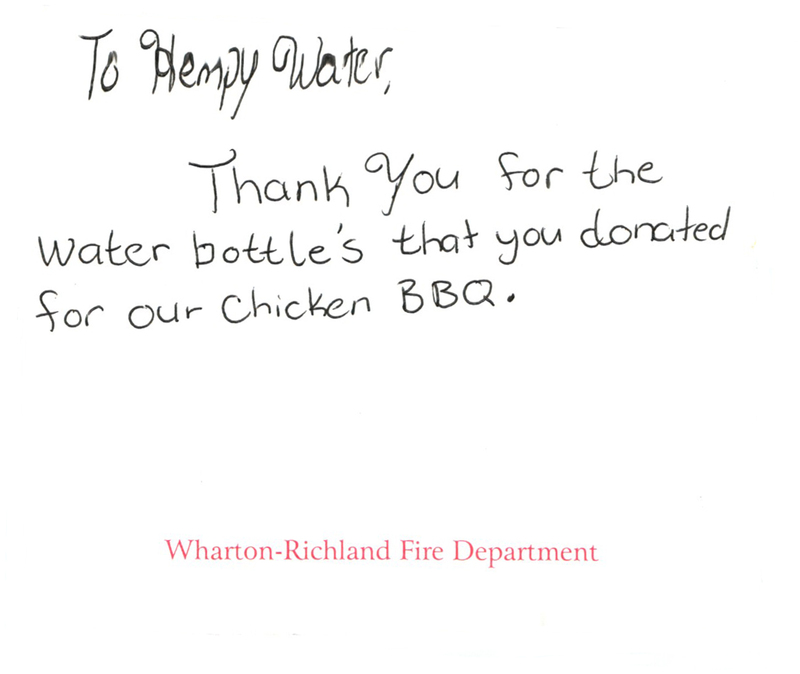 Thank you for the water bottled that you donated for our Chicken BBQ. Don't waste your time with other guys, give Hempy a call. The other guys took a few days and a week to give me a call back. Hempy answered my email the same day, after business hours! They hooked me up with a more affordable softener and reverse osmosis system than the other guys! I saved $2000 choosing them. The customer service was excellent from the start and still is! Jeff K. answered all of my questions and was very easy to work with. He even helped me iron out some problems after installation that were on my end, and everything is working great. We've had the system about a month and it is a huge improvement over our kinetico system. 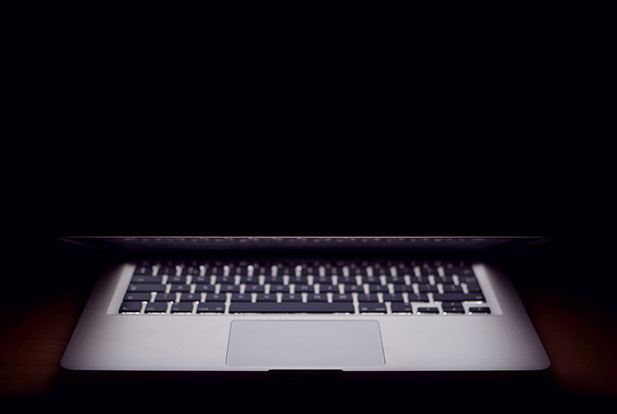 One of the best features of the system is the wireless control module that monitors how much salt is remaining, and the ability to monitor and recharge your system manually without having to go to the basement! Install time was 2 days after the quote I believe. The installer was the same guy who assessed our situation. 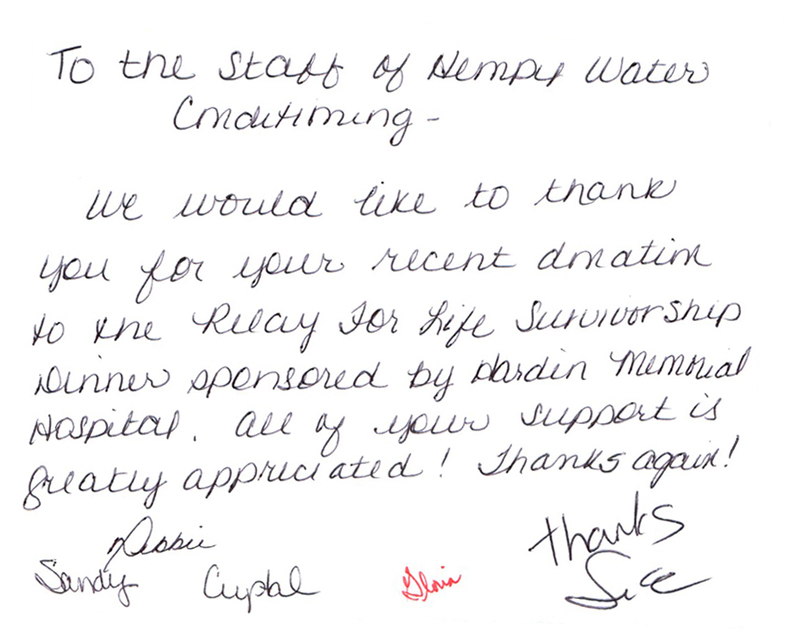 We would like to thank you for your recent donation to the Relay For Life Survivorship Dinner sponsored by Hardin Memorial Hospital. All of your support is greatly appreciated! 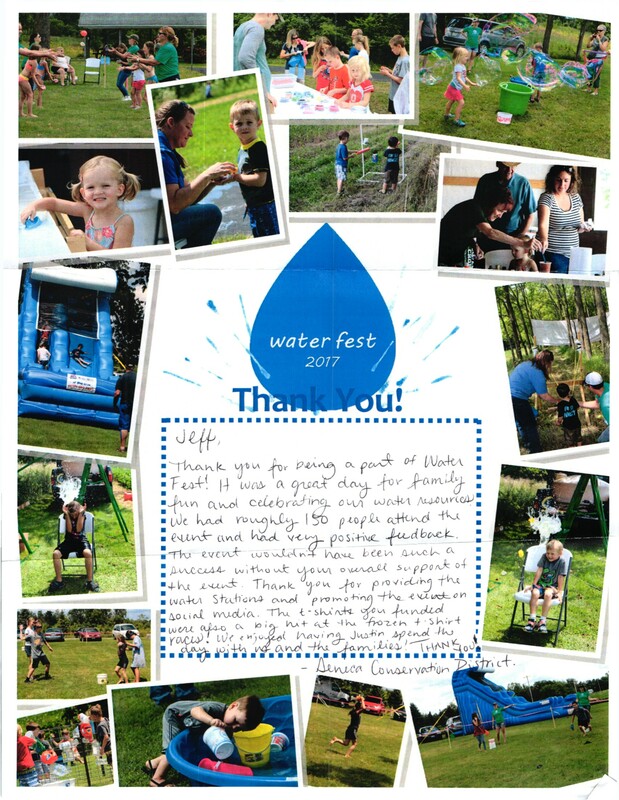 Thank you for being a part of Water Fest! It was a great day for family fund and celebrating our water resources. We had roughly 150 people attend the event and had very positive feedback. The event would not have been such a success without your overall support of the event. Thank you for providing the water stations and promoting the vent on social media. The t-shirt you funded were also a big hit at the frozen & shirt races! We enjoyed having Justin spend the day with us and the families! 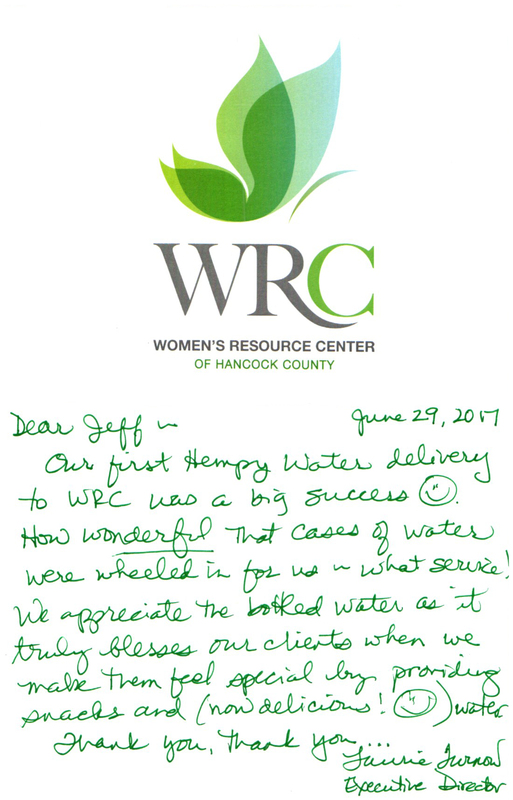 Our first Hempy Water delivery to WRC was a big success. How wonderful that cases of water were wheeled in for us and what service! We appreciate the bottled water as it truly blesses our clients when we make them feel special by providing snacks and (now delicious!) water. 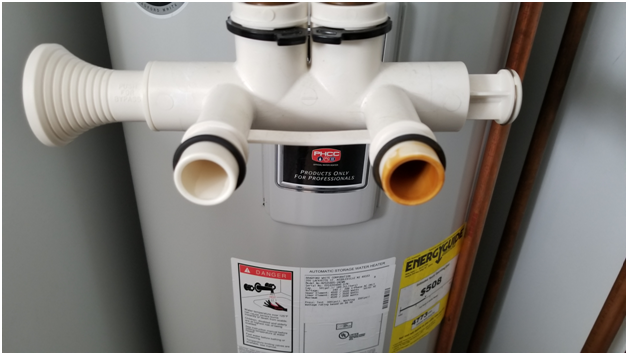 I recently had to replace my water heater and had to remove our water softener. I was amazed when I disconnected the softener by how well the system works. Attached is a photo of the inlet and outlet of the softener, it speaks for itself. Just wanted to say thank you!